Teachers face enormous challenges with standardized testing, the customization of education for each student to reach his or her potential, behavioral challenges, changes in demographics of students, micromanagement from school administrators, and difficulties in working with parents and the community at large, to name a few. These challenges cannot be met through solely learning more about subject matter, being better prepared for classes, or managing time more wisely–they must be met more effectively by teaching teachers how to become better leaders. Leadership Development for Educators is the book that will assist teachers in becoming better leaders in their classrooms and in their lives. 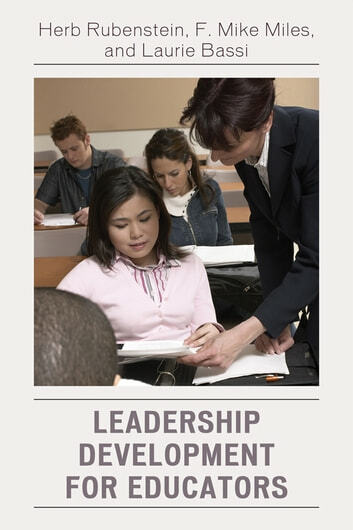 Learning about leadership theory and leadership best practices and undertaking the leadership development exercises in the book will guide teachers to greater workplace satisfaction, improved student performance and behavior, and better collaboration to further improve leadership skills. The authors encourage teachers at all levels, from pre-K to twelfth grade, to remain in and enjoy the teaching profession for many years.